The Perfect cookie is such a personal thing. Some people like soft chewy cookies packed with chocolate chips, others like thin crisp cookies with just a few mini chocolate chips. For me a chocolate chip cookie is the perfect treat, if I could have just one treat the rest of my life it would be a chocolate chip cookie. 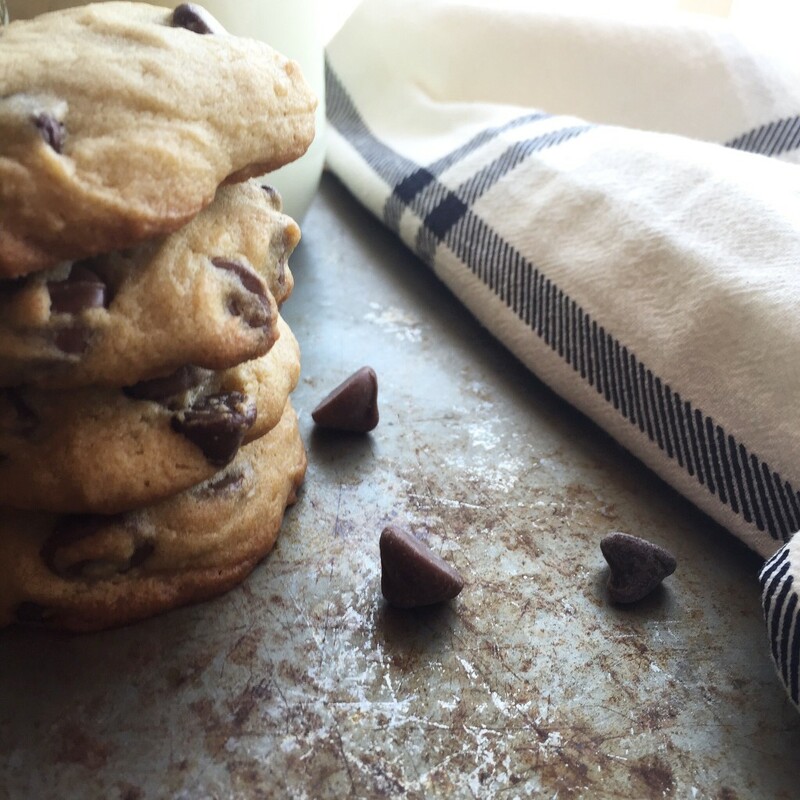 Good day, bad day mediocre day, any day is better with a chocolate chip cookie. The first baked good Chels ever gave me was a chocolate chip cookie, we had been talking over the Thanksgiving break and after we got back from the break she had a tin of cookies for me. She covered the fact that were made especially for me by handing them out to a few of her other friends as well, but she made them just for me. They were great, I ate all of them, even though they had Walnuts, and I may or may not have a mild Walnut allergy. 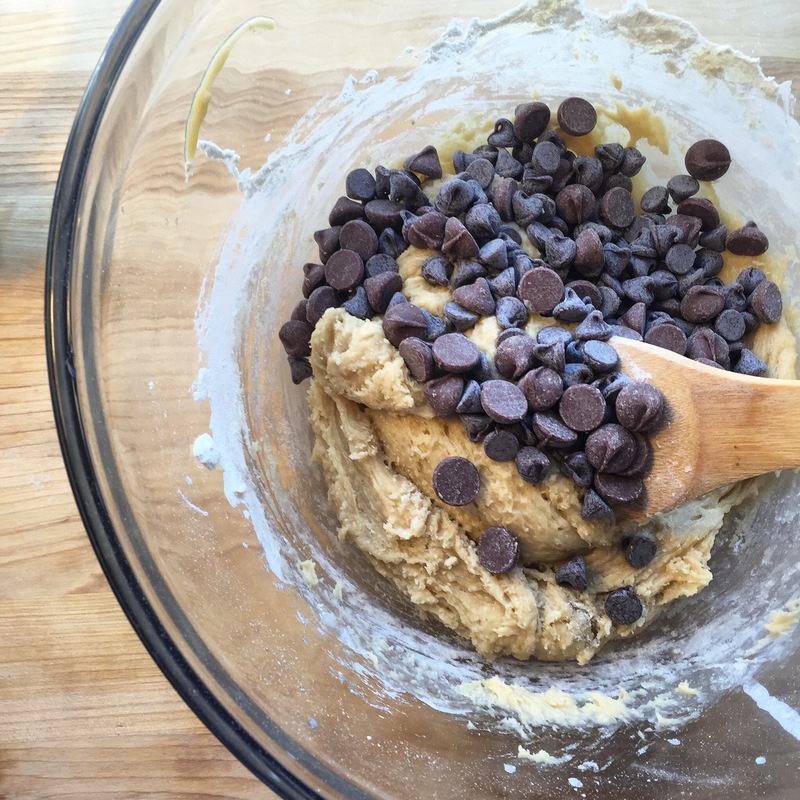 Since then Chels has tried and altered and poked at her Chocolate Chip Cookie Recipe until she arrived at the one below, and they are the best. So do yourself a favor and make them for someone you love, have a crush on, or just for yourself. Preheat oven to 350 ℉. 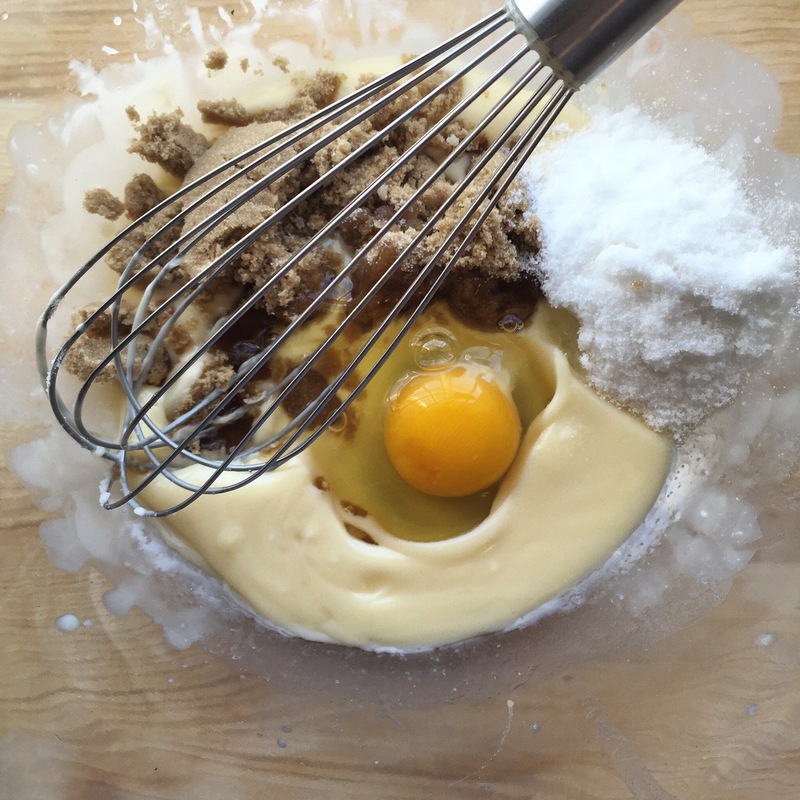 In a medium bowl whisk melted butter, eggs, and vanilla until well combined and fluffy. In a separate bowl whisk flour, baking soda, and salt. 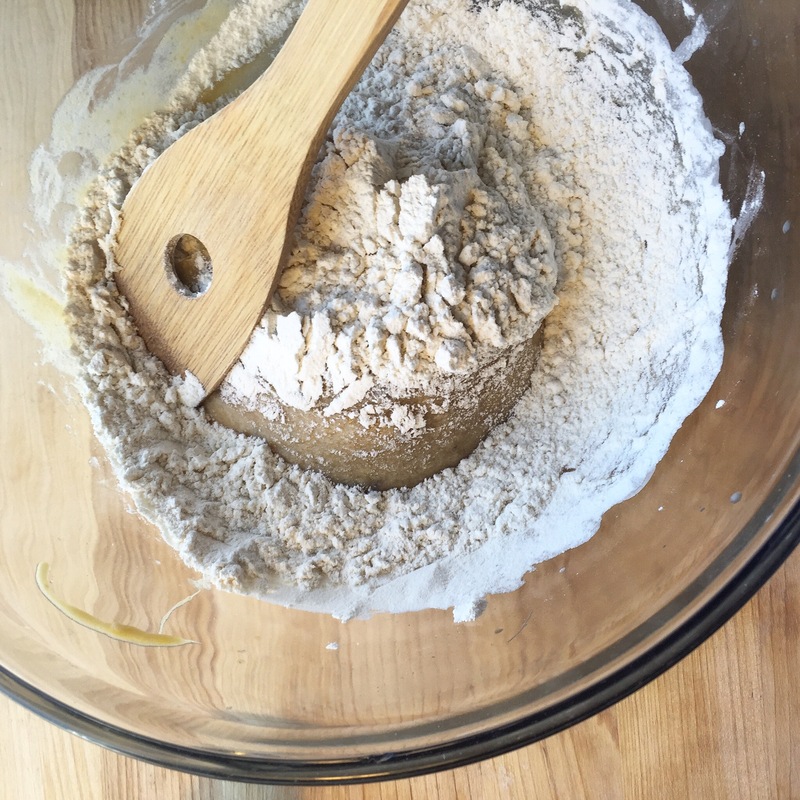 Combine your dry ingredients with the wet ingredients using a wooden spoon. Be careful not to over mix. 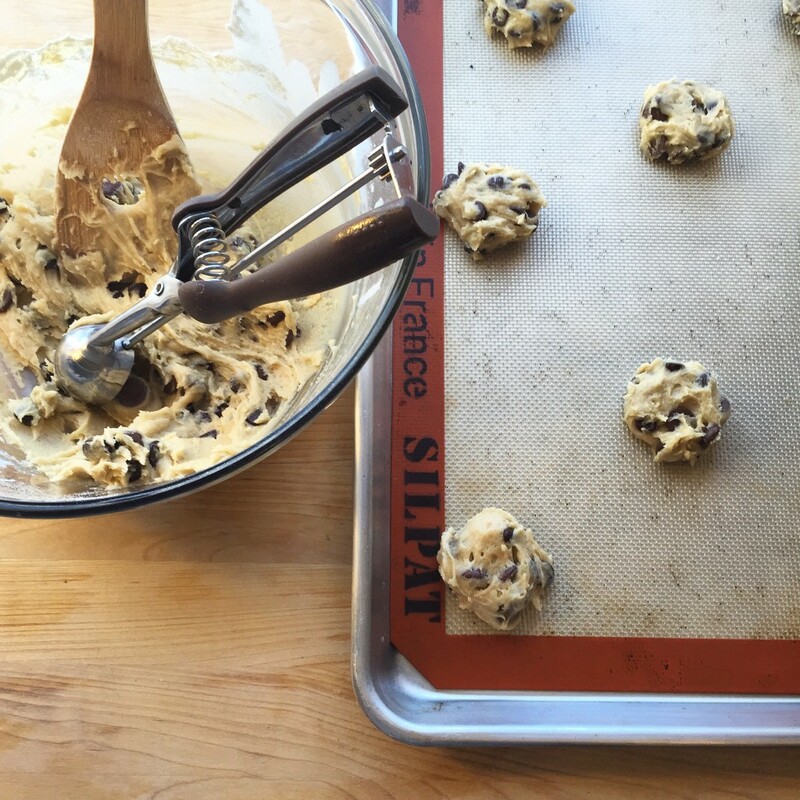 Stir in your chocolate chips. 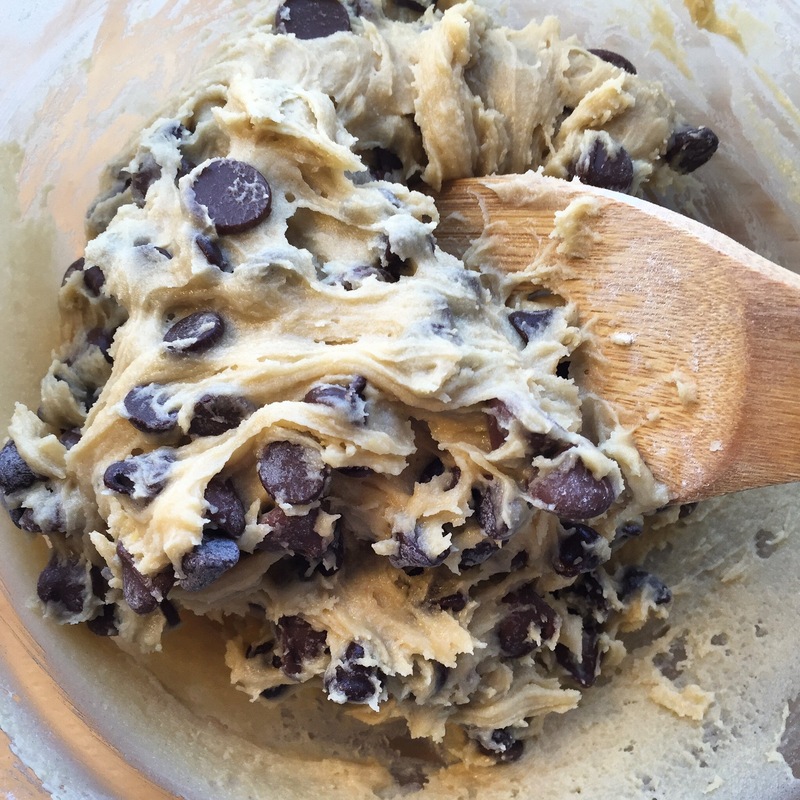 Drop heaping tablespoon-size balls of dough about 2 inches apart on baking sheets lined with a silpat or parchment paper. Bake until lightly browned around the edges, but still soft in the center. About 8 to 10 minutes. Remove from oven, and allow to cool slightly on baking sheet for 1 to 2 minutes. Transfer to a wire rack, and let cool completely. Store in an air tight container at room temperature for up to one week. *I microwave the butter until it’s at least half melted. 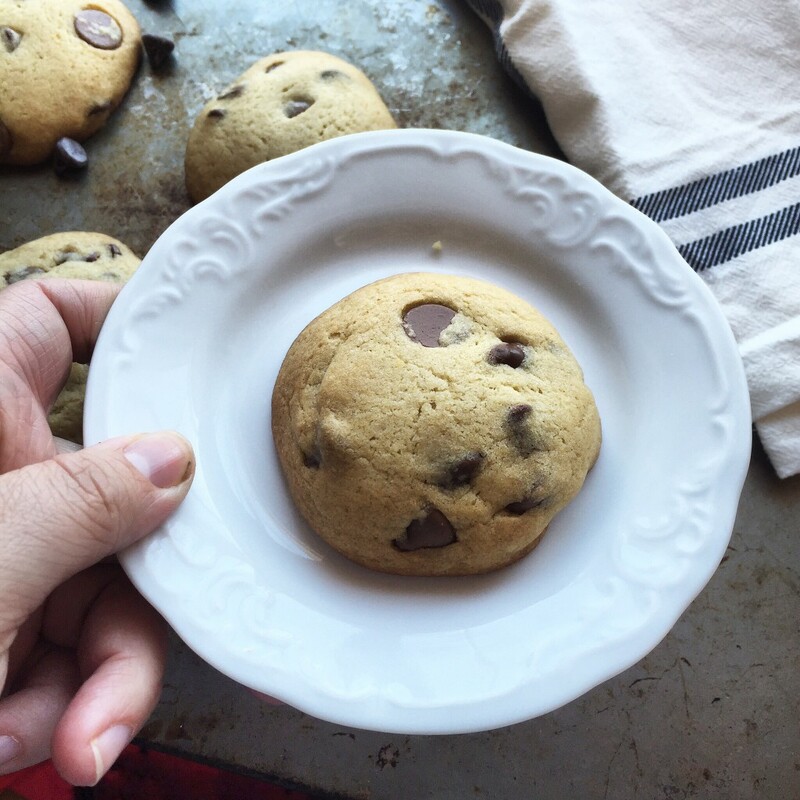 This gives you a cookie that is crisper in the edges but still soft in the middle. 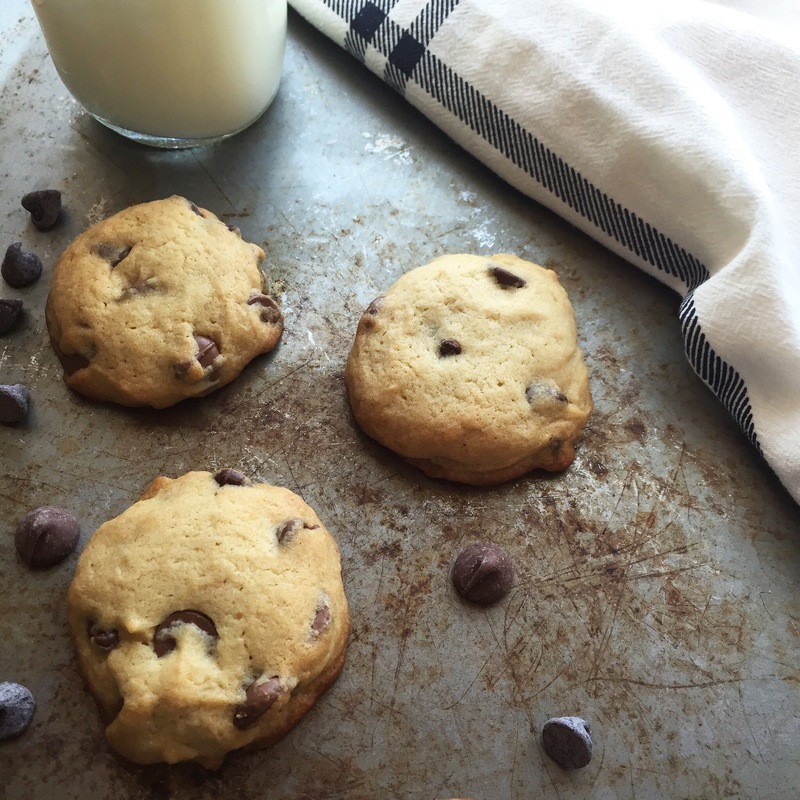 For a crisp cookie melt the better and for a soft chewy cookie soften instead of melting! Hi, I'm Chelsea, I love the art and science of food, and when you have two toddlers sometimes you have to get creative. The results get posted here.